The earth shook under the feet of Cubans in the eastern part of the island overnight Tuesday in what some described as a very strong tremor, a 5.5 magnitude quake in the Richter scale, which left no human victims or property damage. 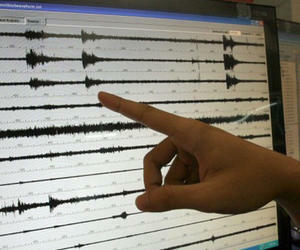 The director of the National Seismological Research in Santiago de Cuba city, Bladimir Moreno confirmed the event, which occurred a year after an unusual seismological situation began to be observed in eastern Cuba. In the locality of Uvero, a community in the municipality of Guama, just six kilometers from the tremor epicenter, the locals experienced what they called something like never before. For instance Erodis Diaz, night guard at an education center told the Cuban News Agency that he perceived a very strong earth movement, as dogs began to bark followed by a power cut. In the Santiago de Cuba Rajayoga community, neighbors hurriedly made out to the streets as alarms were triggered in the area, while many others kept sleeping unaware of the situation. Since January 17, 2016, an unusual seismological picture has been observed in eastern Cuba with perceptible tremors, however no human victims or property damage has been regretted, said Moreno in his statements to this news agency.